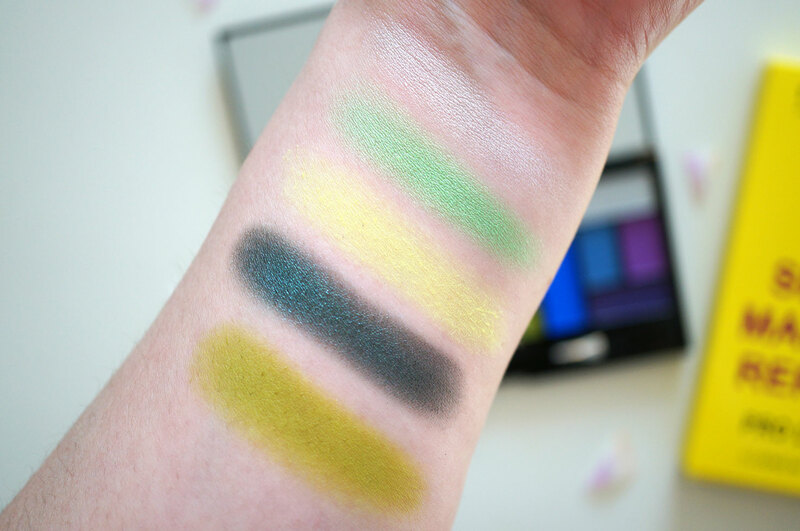 Makeup Revolution have been at it again and I have one of their latest offerings to show you today. 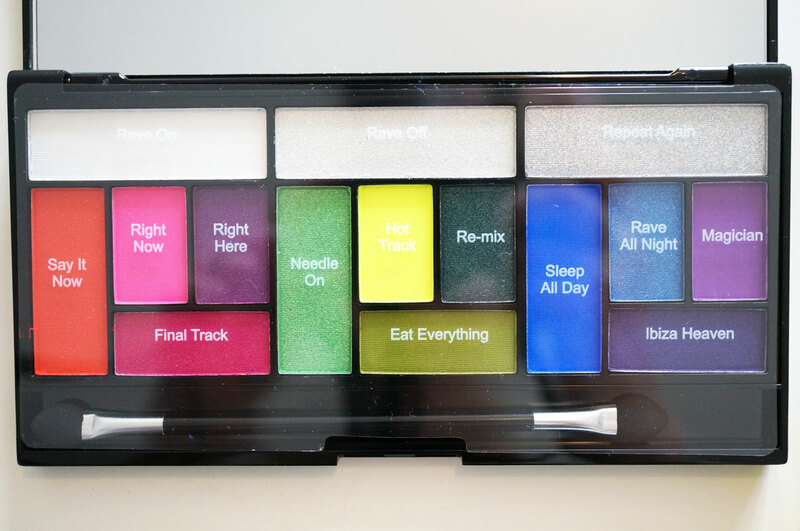 This is the Eat Sleep Makeup Repeat Pro Looks palette – and it’s definitely the brightest palette I’ve ever seen! Eat Sleep Makeup Repeat comprises of 15 eyeshadow shades that are separated into three sections, with the idea that you can create a whole eye look out of each section, so in theory you have three eyeshadow palettes in one. 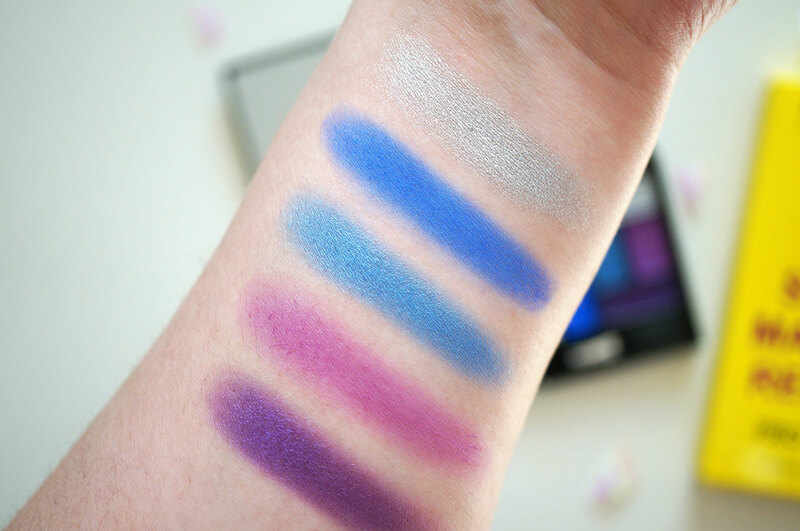 The shade selection here is clearly not for the faint hearted, with rainbow colours that could be used to create a multitude of looks, this palette reminds me of the Colour Chaos palette which was released about 5 months ago (which is also pretty much a spot on dupe for the Urban Decay Electric palette by the way) The Eat Sleep Makeup Repeat palette is also only £6.00 – which makes each shadow only 40p, what a bargain! First up we have the red and pink section. The first reddish orange shade, ‘Say it Now’ was fantastic, highly pigmented and a joy to apply. But I found the next one, ‘Right Now’ to be quite disappointing. This looks like a bright neon pink in the pan but due to it being a matte shade it comes out quite sheer and chalky, which is a shame. Overall, the two matte shades, which were the white and the pink here weren’t very good, but the rest which are shimmers were great! Next up are the greens and yellows. The lightest shade here ‘Rave Off’ is actually a subtle silver shimmer which would work fantastic as a inner eye highlight. I’m in love with ‘Needle On’ an intense lime green shimmer, and can’t wait to incorporate this into a look! 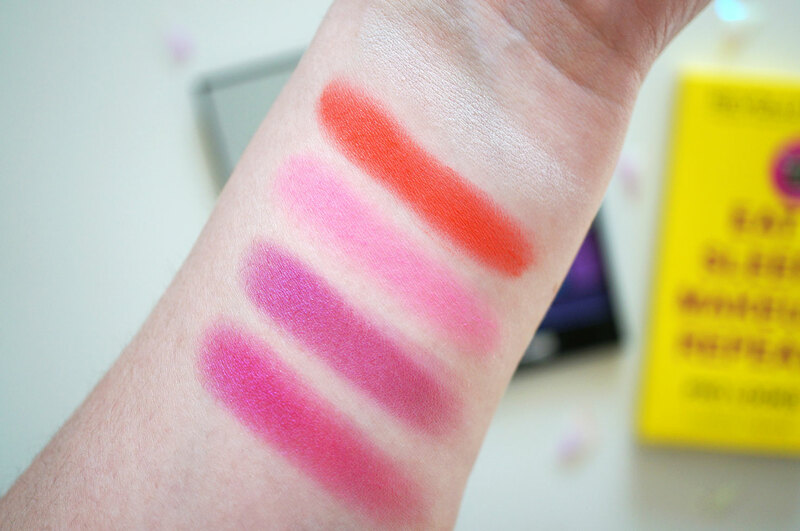 Again the middle matte neon shade ‘Hot Track’ is quite disappointing, but the other shimmer shades definitely make up for this. And lastly the blues and purples. This set of colours start off with an intense silver shimmer – ‘Repeat Again’ which is so highly pigmented it almost looks as though it’s been applied wet. Unfortunately my picture doesn’t do it justice. The only slightly disappointing shade in this section is ‘Magician’ the lightest purple shade which is fairly chalky, all the other shades though are fantastic! 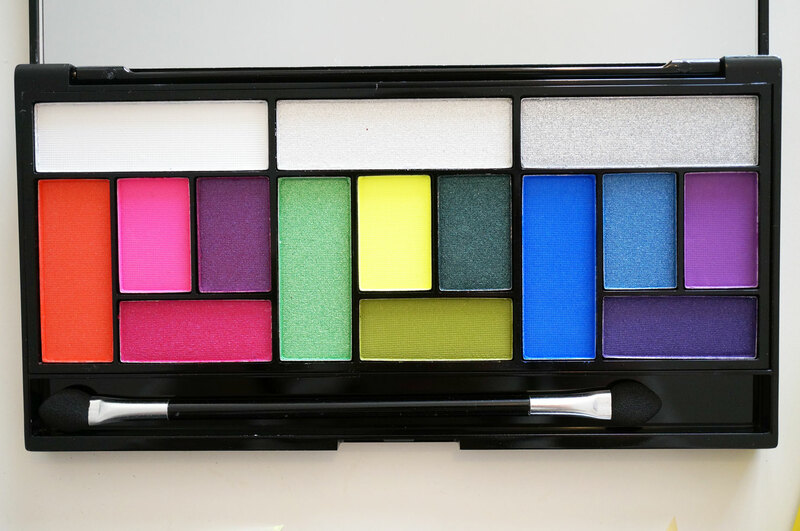 Overall I’m really impressed with this palette as it includes some fantastic highly pigmented shimmer colours. If you buy this just for the neon (matte) shades though, depending on your expectations you may end up disappointed. Despite this I’d still recommend this if you’re into brights, especially if you’re looking to experiment with colour! For just £6.00 this palette is definitely worth buying. 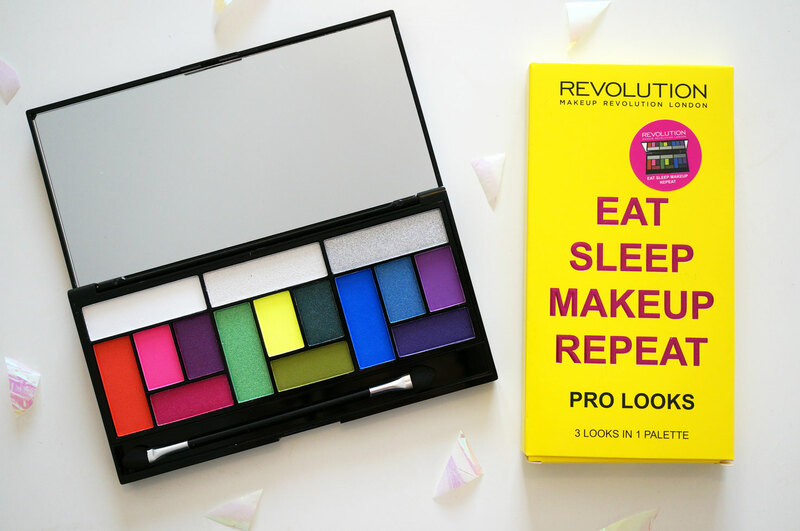 The Eat Sleep Makeup Repeat Pro Palette is available at Superdrug for £6.00.